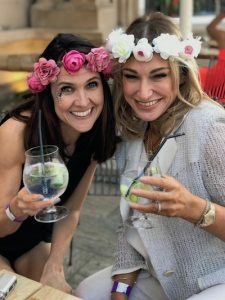 The Florist lived up to its name as The Festive Flowers and Events team hosted their inaugural charity fundraising event at the recently opened venue on Hardman Street. They transformed the venue into the perfect setting for the Festival themed charity lunch in aid of the Christmas Foundation. A huge floral Kissing Arch greeted guests to The Florist, along with stunning flower displays in wellies, and festival headgear for photographs. Glitter face-painting was provided by Face the Strange and floral table settings were festooned with mini festival flags and pompoms. The fun-filled event was hosted by Radio City 2’s Claire Simmo and entertainment provided by sets from The Voice UK’s Hollie Ellison and the sensational soulful sound of Dixie Daye. After a drinks reception and a sumptuous three-course lunch guests enjoyed fantastic sets from DJ’s Lee Butler, DJ Ricco and Jake Edwards. 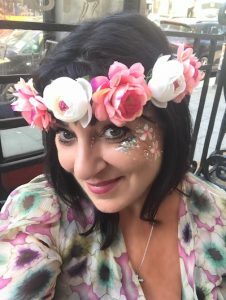 A raffle and an auction raised much needed funds for The Christmas Foundation and included signed memorabilia, a Boodles necklace, Creamfields Festival Packages and a Spa Day. Festival at The Florist was hosted in conjunction with Radio City’s Cash for Kids and Carolyn Hughes PR.